Suburban officials have high hopes an actual building where fliers can check bags, go through security and ride a people-mover train to terminals is coming to the west side of O’Hare International Airport. The Illinois tollway is extending Route 390, the former Elgin-O’Hare Expressway, east. The road is expected to penetrate O’Hare by 2019 or so, providing western access to the airport for suburbanites. Previous, more modest plans involved a parking lot and bus to convey passengers, but that underwhelmed DuPage leaders who wanted a western terminal. Recent “conversations (with Chicago) have been positive,” Tollway Chairman Robert Schillerstrom said Friday. In addition to parking, “they’re going to construct a building where people can come in, get their tickets, go through security, check their bags and take a people-mover to anywhere in the airport,” he noted. A Chicago Department of Aviation spokesman did not comment. Development on the western side of the airport comes amid other significant changes. The city is retiring one diagonal runway in 2018 and will open a new parallel runway on the north airfield in 2020. Last summer, Chicago announced a massive redevelopment program at O’Hare that includes nine new gates at Terminal 5 and redeveloping the outdated Terminal 2. At the time, CDA officials said a people-mover train was coming to the west side of the airport eventually. They could not confirm when, saying they were prioritizing the other expansions. The city intends to expand Terminal 5, which opened 23 years ago, by 25 percent. Plans for Terminal 2 would convert the underused facility into a central hub with a new U.S. Customs and Border Patrol center and TSA screening stations. 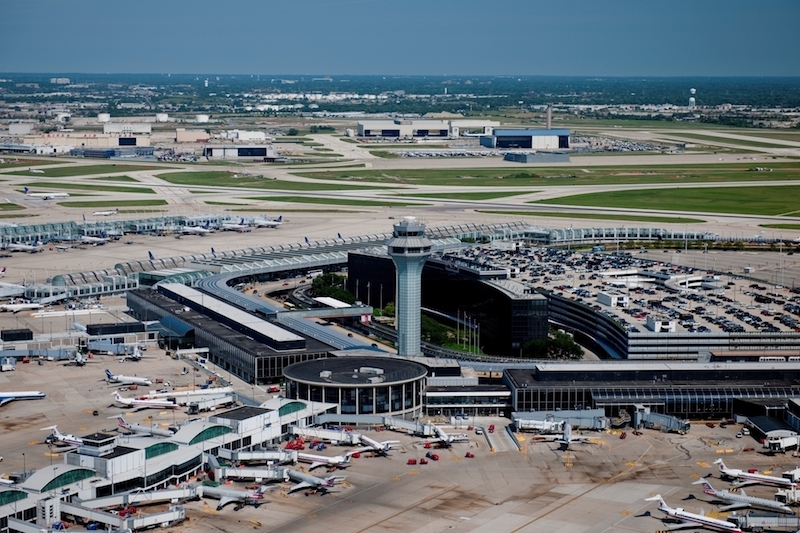 DuPage County leaders have pushed for a western entrance and terminal at O’Hare for decades, with expectations it would spark an economic boom. The tollway is currently building Route 390 along Thorndale Avenue and will complete a section from I-290 to Route 83 this year. Talk of adding gates on O’Hare’s west side and an underground people-mover are positive signals that the suburbs’ clout drought at the airport is over, according to DuPage County Chairman Dan Cronin. The completed western section of Illinois Route 390 is now officially part of the state’s tollway system.